If there was one characteristic that stuck out above any other in the leadup to the first fight between Rose Namajunas and Joanna Jedrzejczyk at UFC 217, it was the steely demeanor from the challenger in the face of incessant trash talk from the champion. For most of her reign as strawweight queen, Jedrzejczyk had earned a reputation for intimidating her opposition before the fight and then executing a picture-perfect game plan once they stepped into the cage together. Nothing changed when Jedrzejczyk prepared for her showdown with Namajunas last November—except she may have amplified her attempts to get at the No. 1 contender. Jedrzejczyk questioned Namajunas' mental health leading up to the fight then constantly barked at her during staredowns, including a rather intense scene at the weigh-ins just 24 hours ahead of the fight at Madison Square Garden in New York. There was only one problem for the champ—none of it worked. Rather than buying into Jedrzejcyzk's head games, Namajunas stayed stoic throughout the week leading up to the fight. When her opponent verbally assaulted her during the faceoff, she just calmly stood her ground and quietly recited the Lord's Prayer under her breath. The next night, Namajunas followed up with a stunning first-round knockout to become the first fighter to defeat Jedrzejczyk while also becoming the third strawweight champion in UFC history. In many ways, Namajunas took a lesson learned in grade school when it came to dealing with Jedrzejczyk's trash talk. The best way to deal with a bully is to punch them right in the face, and that's what Namajunas plans to do again in the rematch at UFC 223 on Saturday night at the Barclays Center in Brooklyn. "I think that I took [that intimidation] away from [Jedrzejczyk] the minute she knew about me, even before the fight," Namajunas told FloCombat. "I think she's been psyching herself out just by the presence of myself, ever since I've been on the scene. I've just been freaking her out ever since I've been around. I don't think that's going to change with this fight. "We're constantly improving my game—my reactions, my reflexes, physically, and mentally. It seems like everything is perfect right now for me to be a dominant champion." It's not every day a former champion is handed an automatic rematch after such a lopsided finish like Jedrzejczyk experienced in the first fight with Namajunas. In fact, rumors had swirled prior to the rematch at UFC 223 coming together that Namajunas may end up defending against a different opponent. Ultimately, the UFC decided on the rematch, and while Namajunas admits at first it didn't make a lot of sense, she really didn't care who the UFC threw at her for her next fight. "There was some mixed feelings at first," Namajunas said about the rematch. "I didn't really know what to expect right after. It kind of seemed like an immediate rematch would be the thing that night even just because she didn't really hide away from the media. She was right out there in the open and [UFC President Dana White] was kind of suggesting those things. So for me, it really don't matter. I was already eyeing Jessica Andrade or Tecia [Torres] just in case, but a fight's a fight. Joanna, you can make the case of her deserving it or not deserving it, but it doesn't matter 'cause we got the contract signed. "I'm not going to sleep on her one bit. I know that April 7 is coming, and I'm going to be ready." Immediately after the first fight ended, Jedrzejczyk did face the music in an emotional moment following the loss as she answered questions at the press conference while giving Namajunas her due for an incredible victory. In the weeks following that event, Jedrzejczyk spoke candidly about how she suffered through a brutal weight cut leading up to the fight, which led to her split with the nutritionist she previously employed. While there's little doubt Jedrzejczyk dealt with a debilitating weight cut, some viewed that as an excuse for the loss rather than giving credit to Namajunas on a job well done. For her part, Namajunas doesn't care how Jedrzejczyk handled the loss in their last fight. "I think it's important for all the losses I've had, I've always focused on what I could do better the next time," Namajunas said. "It wasn't [ever] about the other person. It's the same thing with this fight. Whatever was going on with her, I can't control that. All I can control is myself and make sure I'm the best version of myself just like last time—and I won, in dominant fashion. "All the losses I've had, I've gained way more from it when I take full responsibility for what happened. So for me, it's taught me to make sure that I'm doing everything that I can and it's not going to be any different this time." When it comes to the rematch, Namajunas can't predict how Jedrzejczyk will look on the scale, much less how she's going to perform in the fight. All Namajunas knows for certain is that she will come even better prepared than she did five months ago and the result should follow suit. 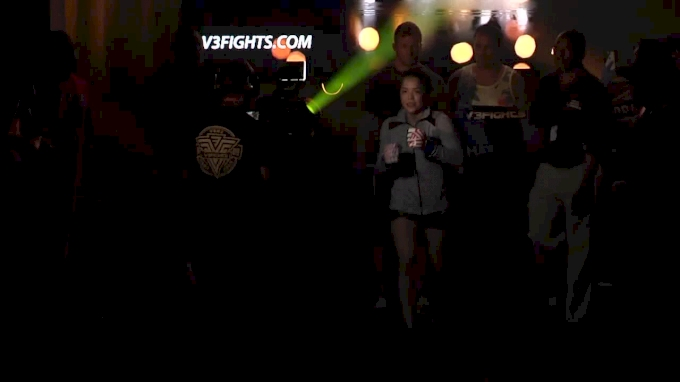 "I don't know what's going to happen," Namajunas said. "All I know is I'm going to punch her in the face, take her back, and choke her out."